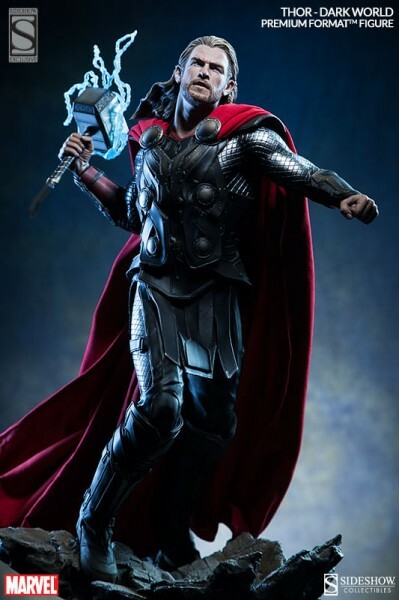 He promised he would return, and now he has! 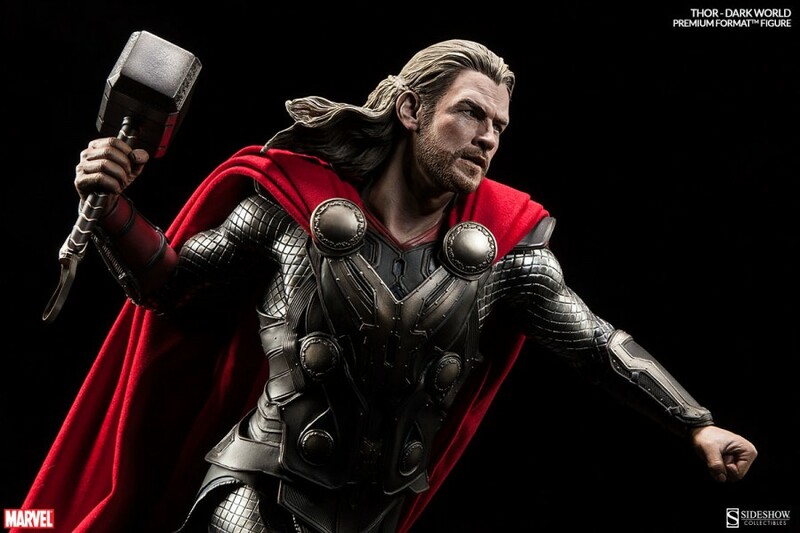 From the Marvel Cinematic Universe, Sideshow is proud to present the Thor Premium Format™ Figure from Thor: The Dark World. 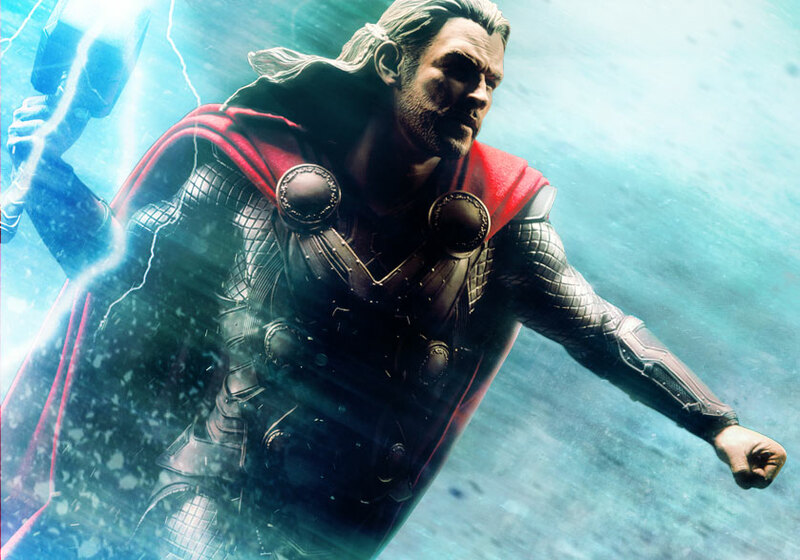 Based on Chris Hemsworth’s thunderous return as the Mighty Avenger, Thor has sworn to protect Earth and the Nine Realms once again, this time from an ancient enemy that threatens to plunge the universe into darkness. 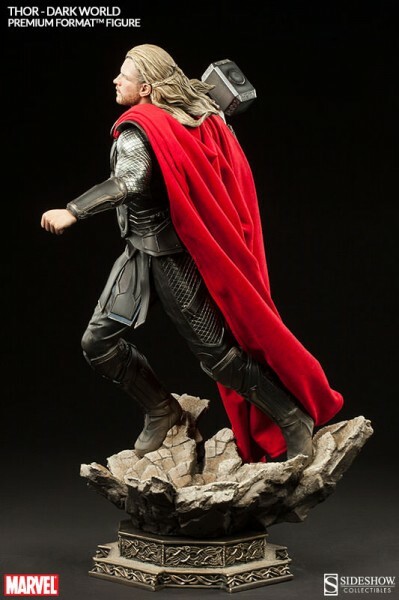 Embarking on his most perilous journey yet, the Asgardian warrior brandishes the legendary Mjolnir, and dons his magnificent newly designed armor, complete with dramatic flowing red cape. 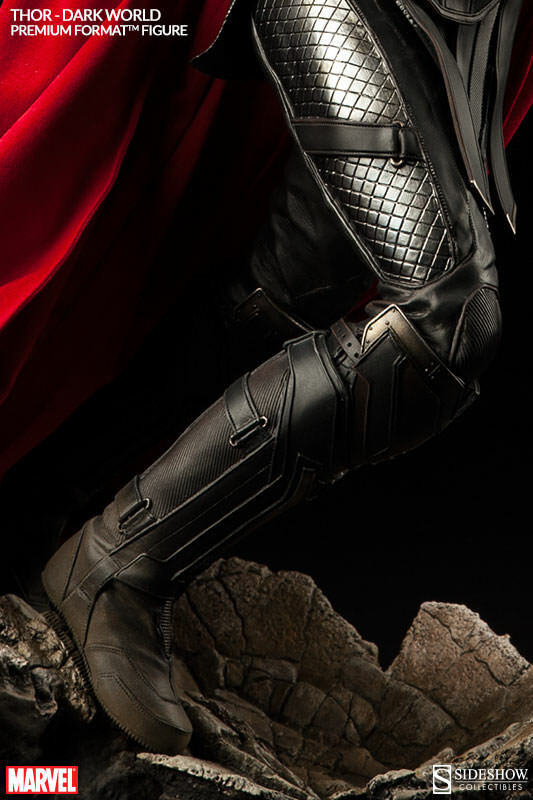 As the God of Thunder prepares to unleash a storm of fury, the very earth quakes beneath his feet, and he must find a way to save us all. 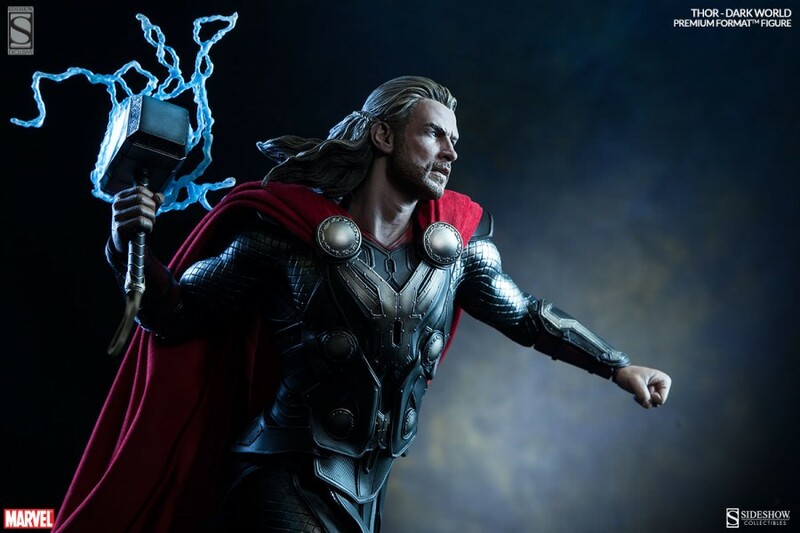 Bring the thunder with the addition of this swap-out ‘lightning-charged’ Mjolnir accessory, available only with the Sideshow Exclusive edition of the Thor Premium Format™ Figure (shown below). 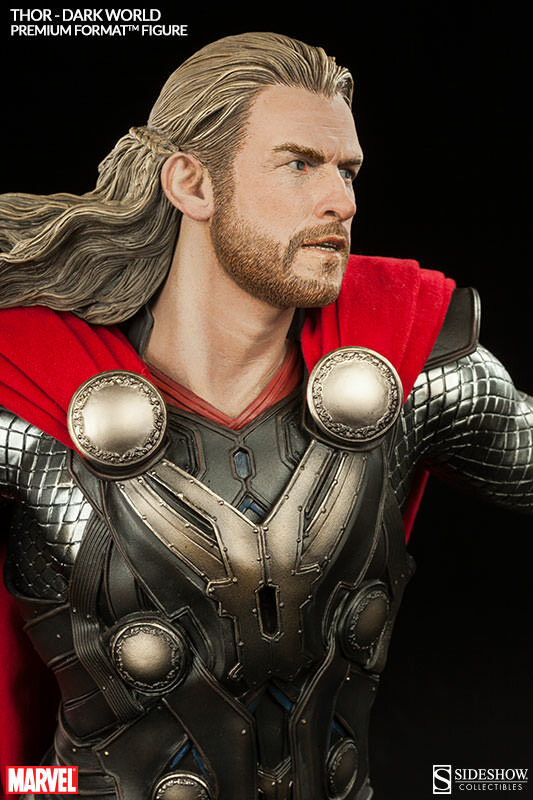 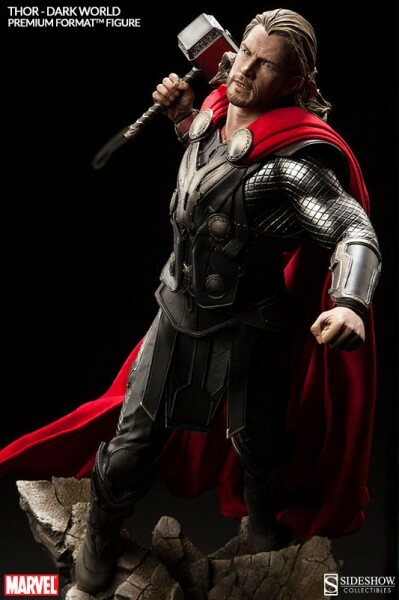 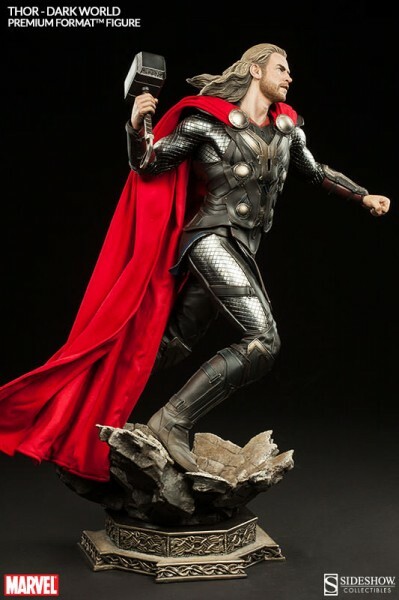 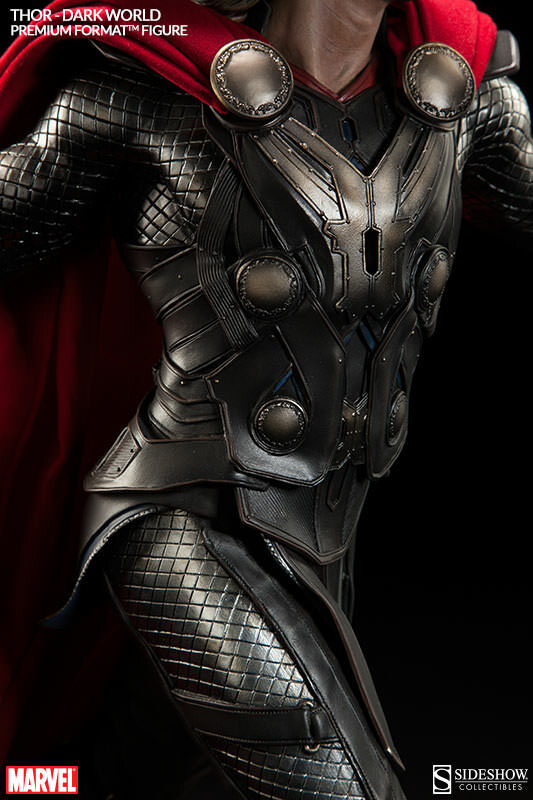 The regular and Exclusive versions of the Thor Premium Format™ Figure will be priced at $399.99. 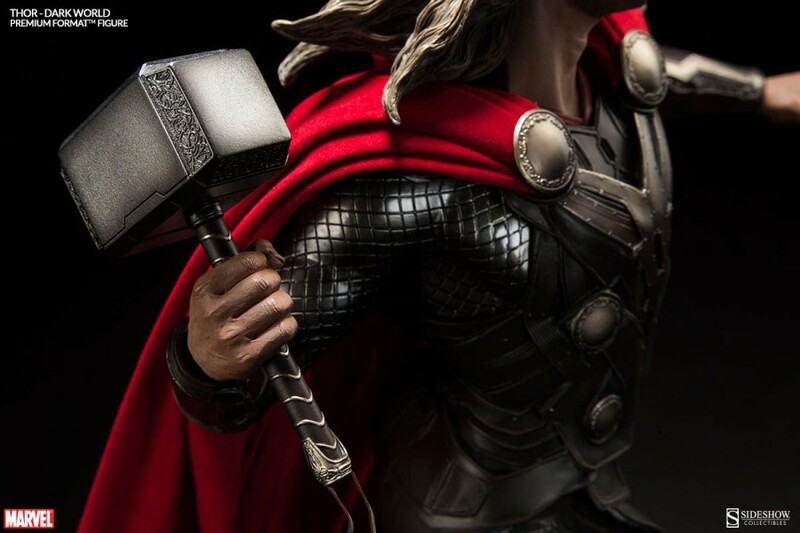 Pre-orders begin next Thursday, September 11th. 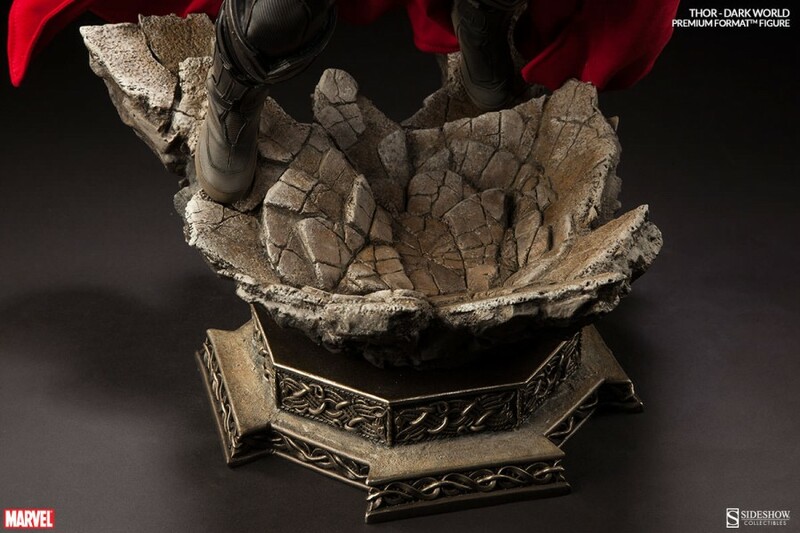 Bring home Captain America: The Winter Soldier! 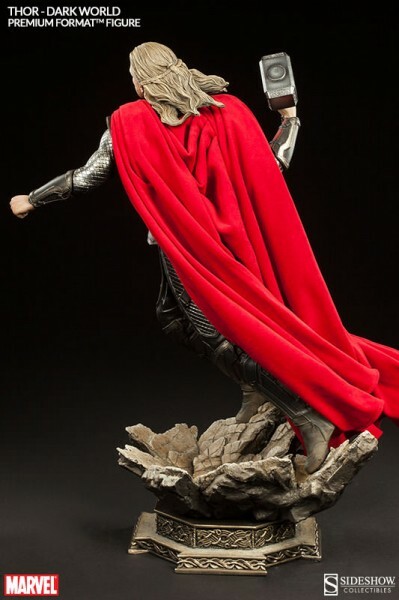 Meet this week's Featured Collector!